Many men & women (even celebs!) suffer hair thinning or loss as early as their twenties. This issue is not addressed often, and many people don’t know that there are items at the salon to help with this hair problem. Hair chemicals, UV rays, extenstions, and genes can all constribute to hair loss. 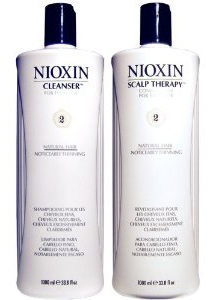 Here at Trisha’s we carry the Nioxin line of shampoo, conditioner, treatments, and supplements for thinning hair & hair loss. These products use vitamins and protiens to stimulate the hair follical and help hair growth. We also have a full line of volumizing products with Redken and Pureology that will give your style the boost you need to look your best. Here’s a list of some of our favorite products; proven to work for thinning hair!